Applying for life insurance is more than just paperwork. There is also an extensive medical history taken. 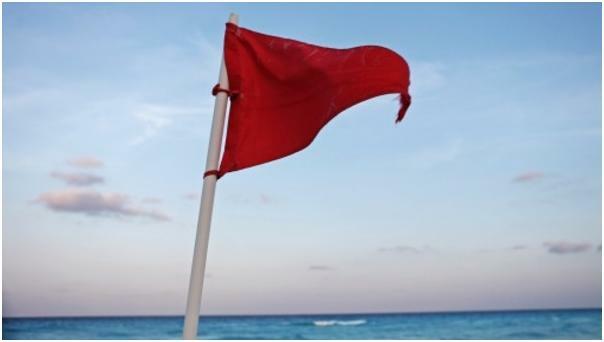 It is important to understand the health and lifestyle red flags that may get you denied when applying for life insurance. Serious or Life Threatening Illnesses – If you have or have ever been diagnosed with an illness like diabetes, HIV/AIDS, cancer, heart disease or Lou Gehrig’s disease (ALS), you may be denied life insurance. Obesity – Life insurance is difficult to get if you are highly overweight and have other underlying problems like high blood pressure or diabetes. Erratic Blood Pressure – Uncontrolled blood pressure is a very common red flag for life insurance companies. However, high blood pressure that is controlled with medication is considered acceptable. Travel – Oddly enough, if you are planning to travel someplace your life insurance company deems unsafe or unstable, your application will be denied. Alcohol Consumption – Anything more than three to four beers a day will result in a declined application. Three to four beers a day will result in higher premiums. Drug Use – Marijuana users are treated like smokers which means double the premiums non-smokers pay. Heroin, cocaine, crack, methamphetamine or other illegal drugs result in automatic refusal. Dangerous Hobbies – Rock climbers and skydivers must apply for a high-risk insurance policy. They will not be accepted in regular ones. Dangerous Jobs – Workers who have a dangerous job such as miners, fishers, or logging will need to find insurance policies from specialized carriers or workplace group coverage. History of Careless Driving or DUI – If you have a history of careless driving or DUI, your life insurance application will be denied. Your life insurance policy may even be canceled if you get multiple careless driving or DUI charges. If you are unable to get a normal life insurance policy, you can apply for a simplified life insurance policy. A simplified life insurance policy does not have as strict a questionaire and no medical screening process. However, their policies are for considerably less coverage.